Our world is composed of a labyrinth of elements and forces. From widespread pandemics to individuals making a difference in their communities, these forces shape their surroundings and impact all corners of the globe. The Elements is a podcast series aimed at exposing the people and events that are influencing our lives… whether we realize it or not. Students are led to believe that getting a college degree is essential for their success and hence, most graduate high school and without even questioning it, go straight to college. 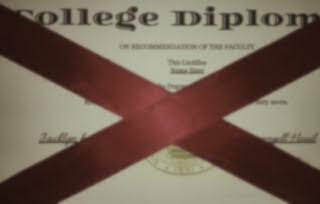 However, a college degree isn't a determining factor for success. There are lots of successful people without a college degree such as Cathy Hauser, a college dropout who had two very successful careers. ​Jaclyn Rosen shares her perspective and experiences since becoming vegan. All your questions are answered. Sydney Lyle reports. Follow @msveganrose on instagram for more! Art Share Los Angeles is a nonprofit art gallery located in the Los Angeles arts district that seeks to help artists succeed and support themselves amidst the rising prices of Los Angeles real estate. Since the arts district is currently being gentrified, artists can no longer afford to live and work in the Los Angeles area, so Art Share provides a free gallery space for artists to showcase their work, in addition providing low-income housing units. Alexandra Zarchy reports. Within the past few years, teens have become more involved with activism. At Palos Verdes High School there are numerous students who have found ways to express their views on specific topics, despite their young age. Reporter Ainsley Basic sits down with PV High Senior Grace Drawer to find out how her passion for activism has evolved. J.J. Hendershot, the Executive Director for the Heroes Project and the Philanthropic Director for Equinox, talks with reporter Skylar McVicar about her life-changing experience working with the Heroes Project. The Heroes Project works with disabled veterans without limbs to help them overcome the highest mountains in the world. Physically, the veterans are trained to climb to the summit of Mount Everest, and mentally, the veterans are trained to overcome hardship, pain, and PTSD.